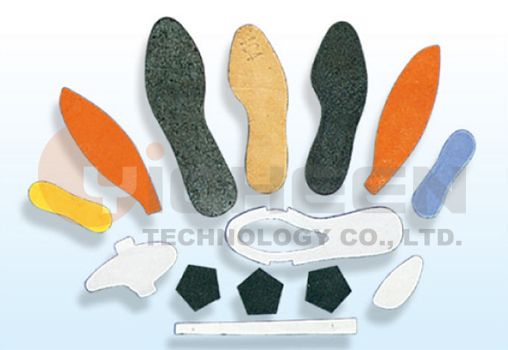 Suitable for cutting one layer or several layer of such material as rubber sheet (bottom sole, medium sole), EVA, leather, plastic canvas, vacuum foaming products, nylons, carpet, mat, corks, soft tiles, paper boards and synthetic materials. 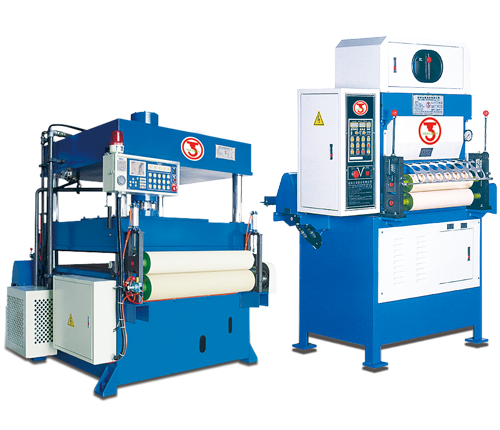 The improved and upgraded traditional punching machines. Adopt four column of Hydraulic cylinder, average cutting force, high efficiency to raise the productivity. 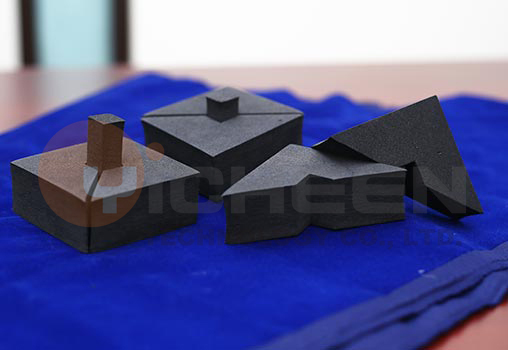 The upper die install by Magnetic platen, it is very convenient to change die. Microcomputer controller with touch sensing screen for maximum operation convenience and accuracy. Also, optional equipped with LCD screen computer control system is available, which it can memory operation program, provide the most convenient in operation and accurate cutting operation. Lubricated system design on Main shaft to avoid machine parts damage in movement and enhance machine lifetime. 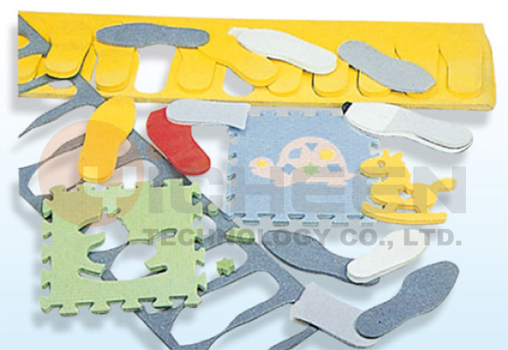 The Safety device (opening safe net for emergency stop motion) ensures the operator safety.